Kids are getting smarter & curious each day. Each one is a genius at something. Our job is to find and encourage it.Genius kid helps to learn through fun. 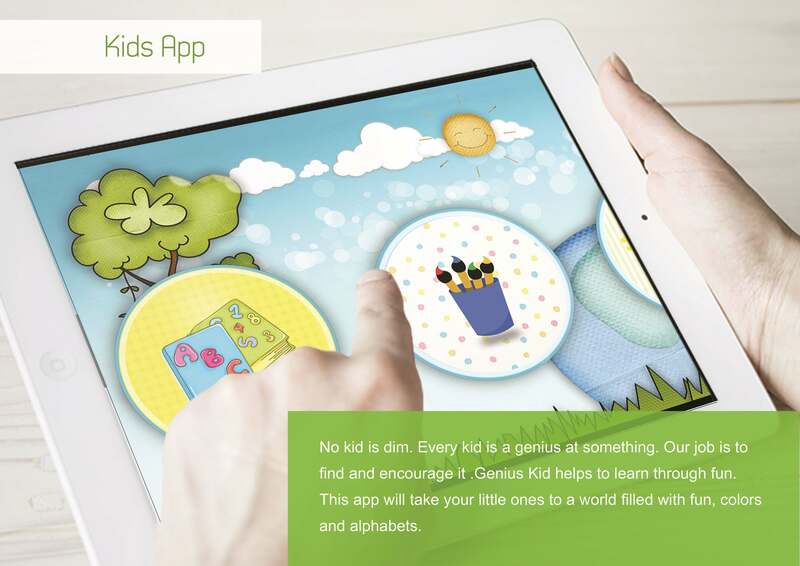 This app will take your little ones to a world filled with fun, colors and alphabets . 1. Help your kid to get familiar with alphabets and relate them through animation. 3. Let your kid color their cute friends and share it with anyone. 4. 1,2,3.. Let the math world open in front of your little one. 5. Let us solve your toddler’s curiosity about shapes with ‘Identify’ shape activity.